Neat Stain Hematology Stain Kit | Polysciences, Inc.
Neat Stain Kits have been specifically designed for stat procedures and/or laboratories using manual staining methods. Also useful in Microbiology labs staining microorganisms and spermatozoa. Neat Stain Hematology Stain Kit Contains: 6 Reagent Kits, Plastic Stand, 6 Reclosure foils. 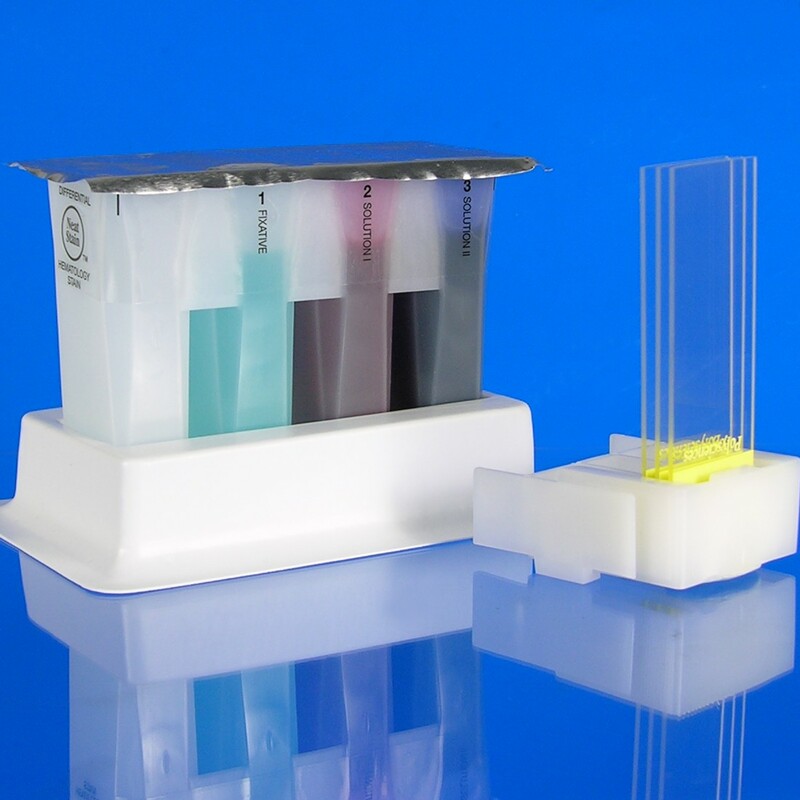 Each reagent kit can perform up to 25 tests; up to 150 tests using all 6 reagent kits.